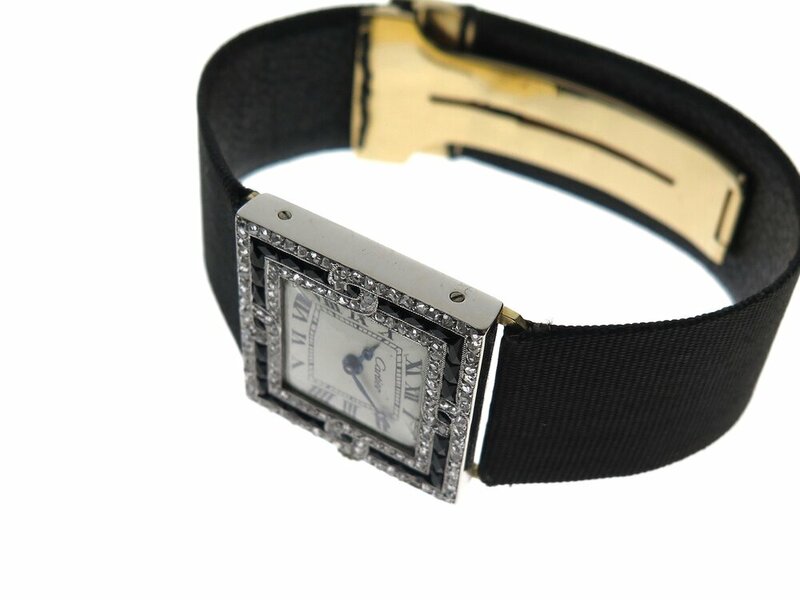 A combination of watchmaking and jewellery combined. 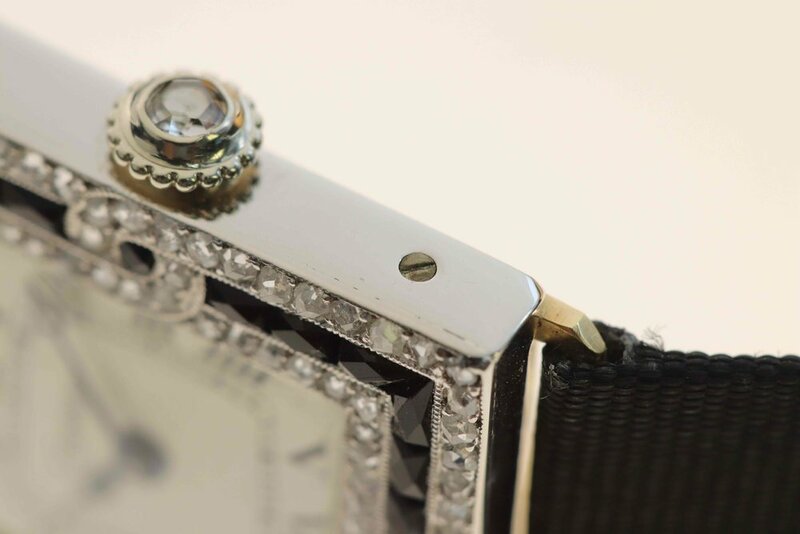 The case is 23mm across flats and made from a combination of red and white gold, platinum, diamond and onyx. 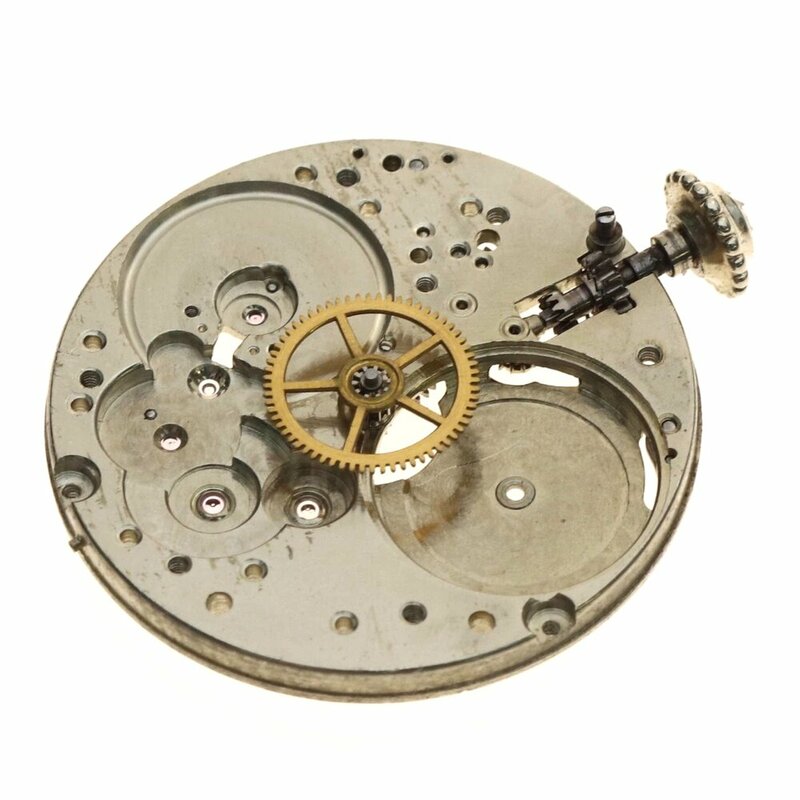 The watch has a manually wound movement, with brass white lacquered dial and blued steel minute and hour hands. 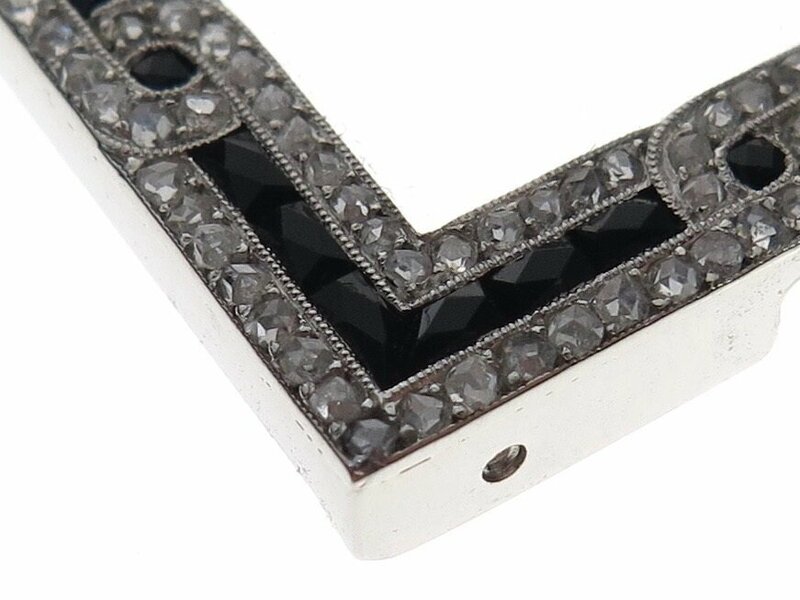 The case back and inside of the folding deployment buckle are made from gold, the buckle cap and case bezel from platinum. 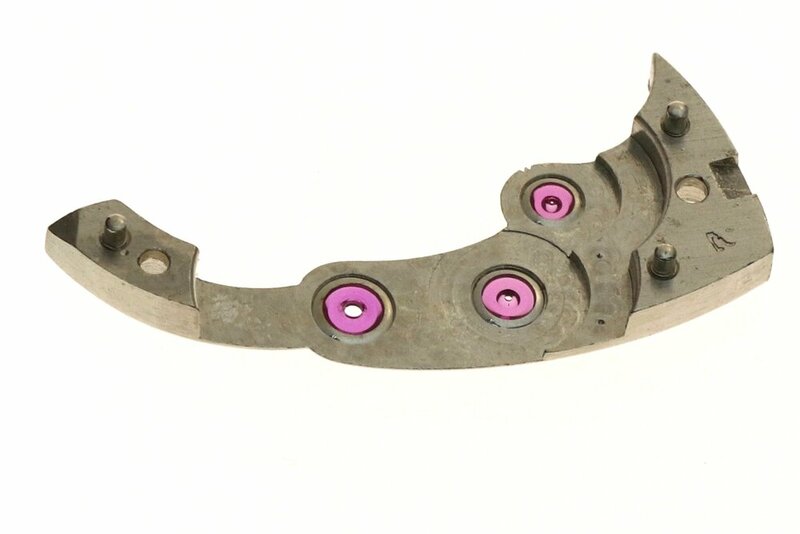 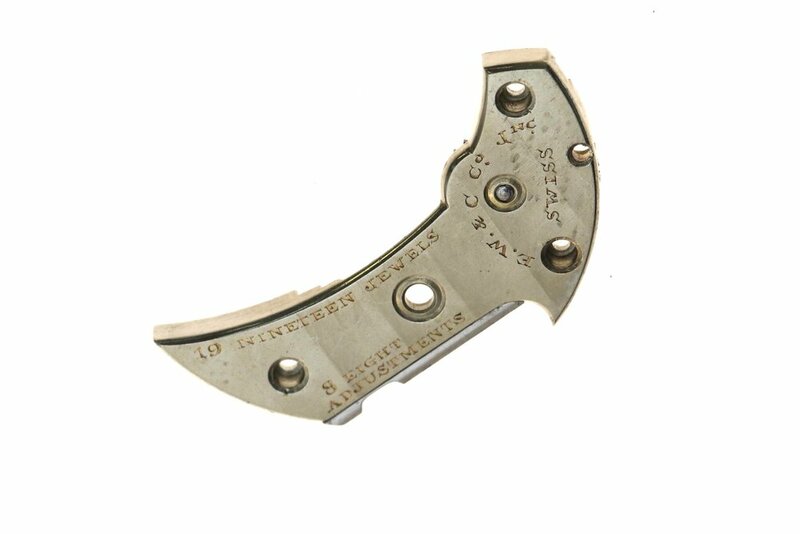 The inside of the buckle was made in gold which was more flexible and easier to adjust than platinum, possessing better spring like properties. 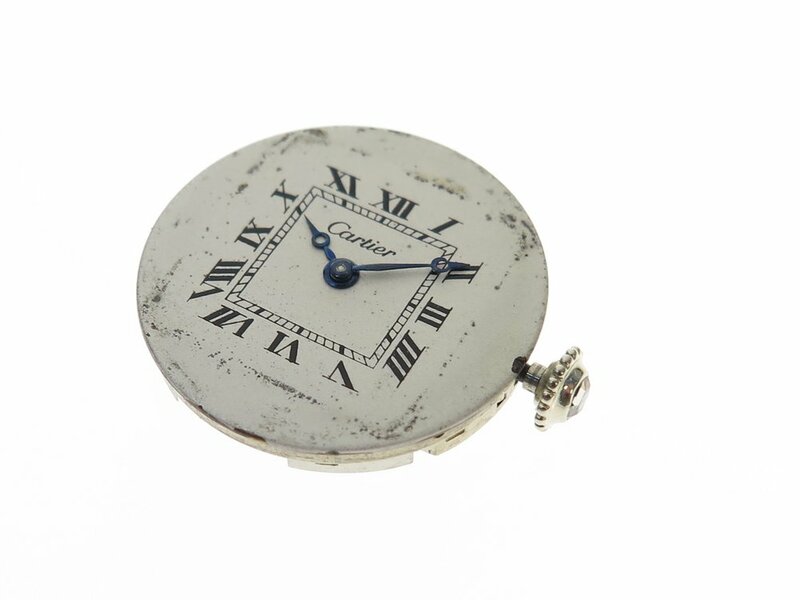 The case as most in this style and period, is not water resistant. 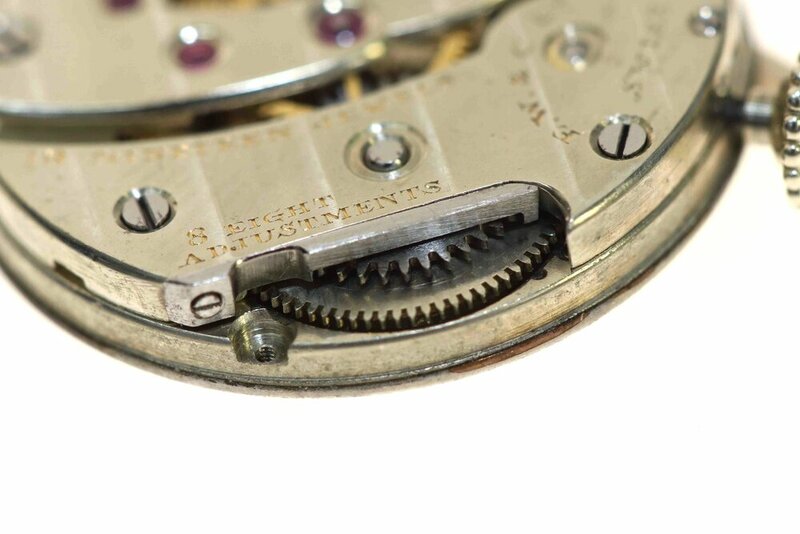 The bezel slides over the case back which contains the dial and mvt and is held in place by 4 screws, 2 on either side. 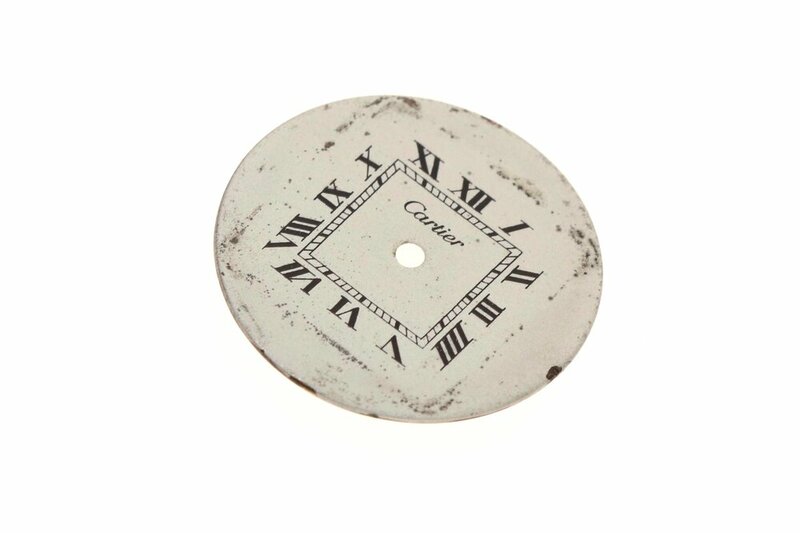 This design aesthetic symbolises many of Cartiers original watch designs. 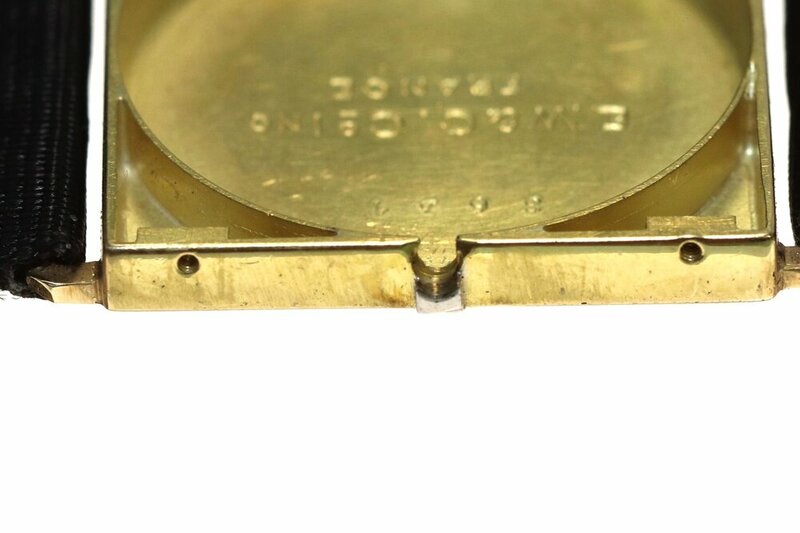 The small section around the case back where the stem protrudes has added platinum to assure the continuity of design when the case is assembled. 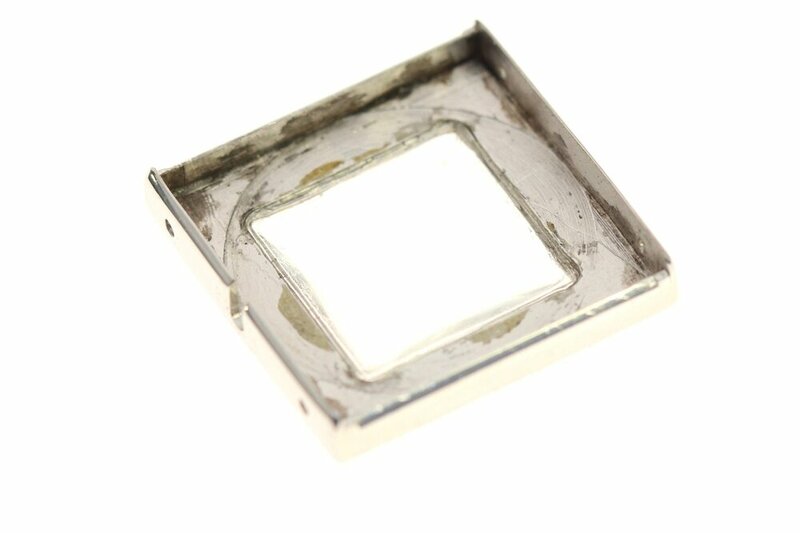 The glass was placed from the inside of the bezel and insulated with bees wax (originally), today synthetic cements are generally used and more practical and resilient. 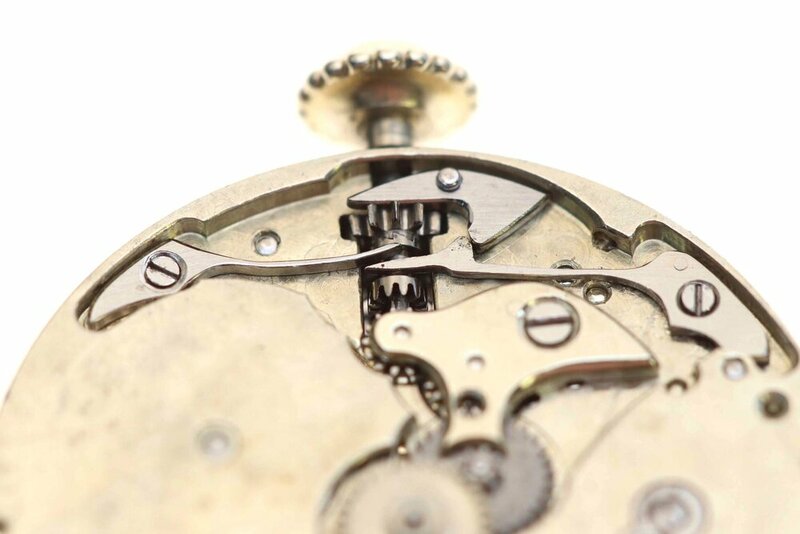 The case was hand made in Cartiers own workshops using specialised jigs tailored for each watch design. 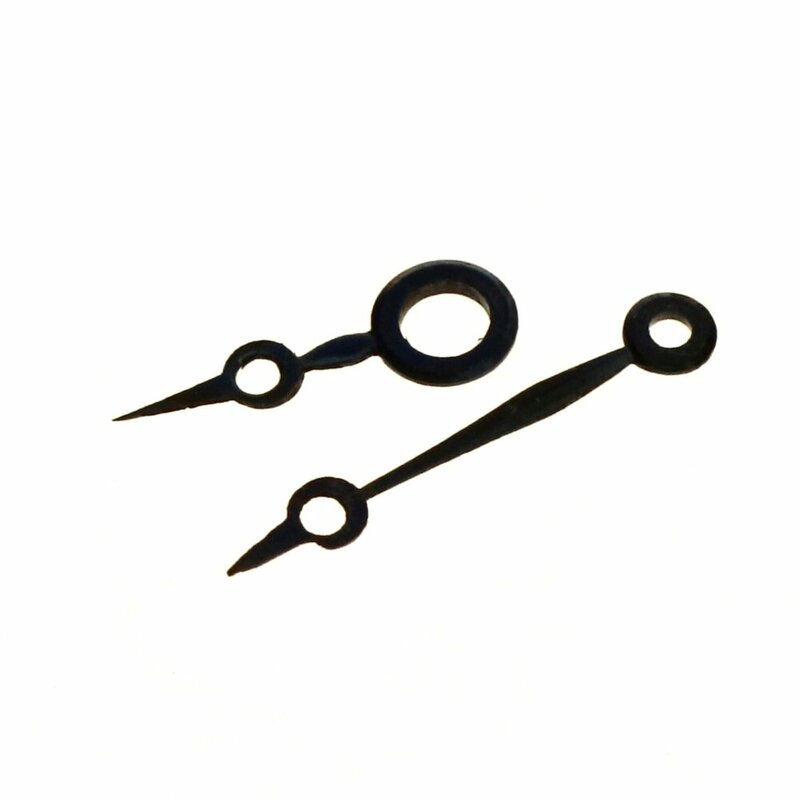 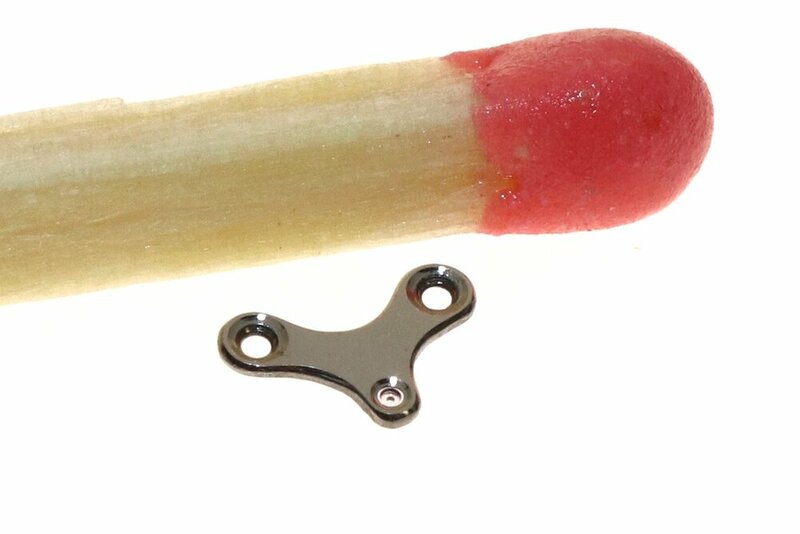 The techniques are more associated to jewellery making than conventional case making which is one of the elements that differentiated Cartier from other manufacturers. 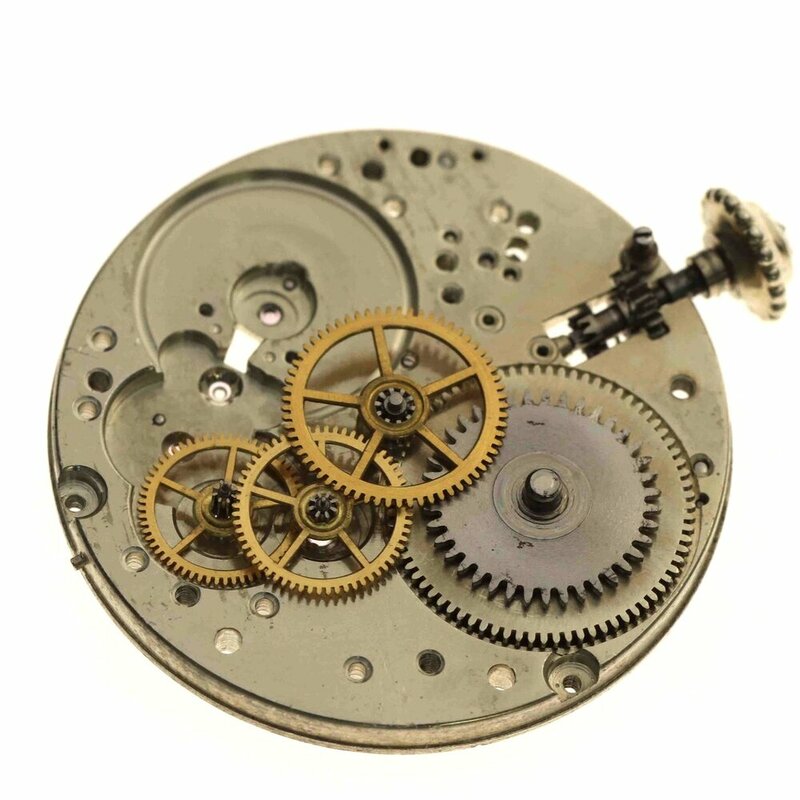 Even between countries, the same cases would be slightly different, the cases were being made In London, Paris and New York. 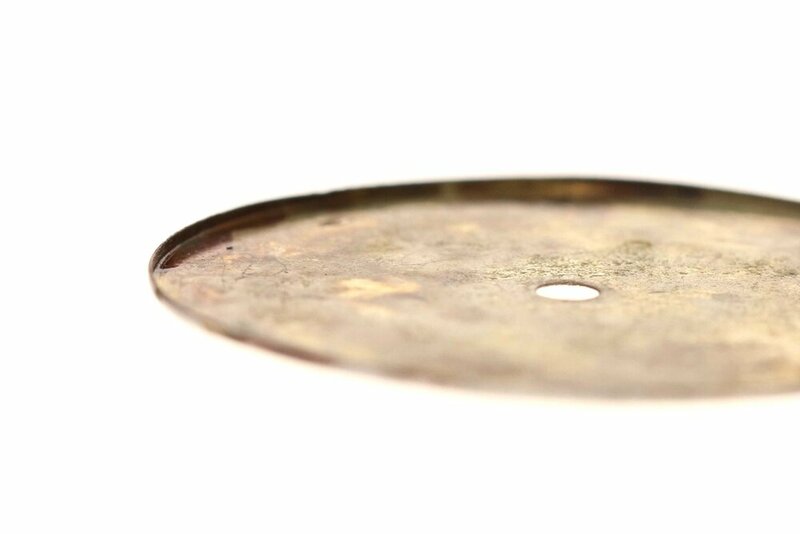 The numbers and letters on the bridge side are hand engraved, the reference on the main plate under the dial is stamped, but manually which can be seen by the uneven layout of the numbers. 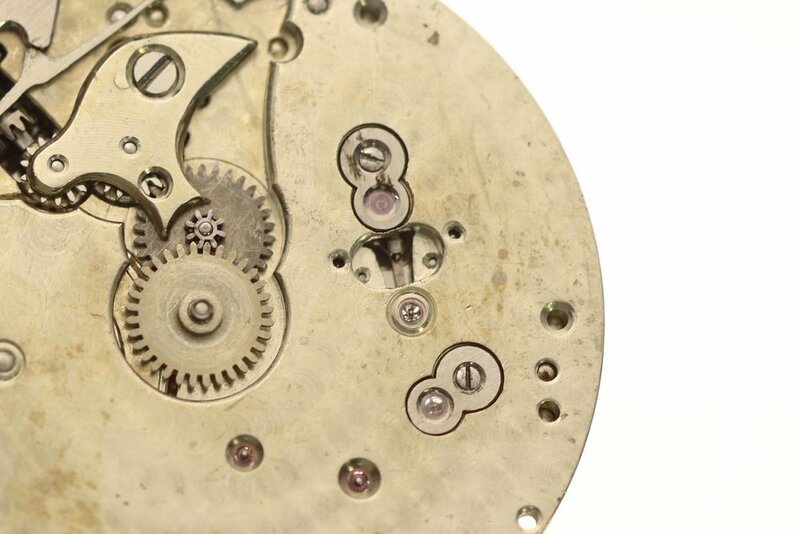 The movements were made in German silver, hand finished and because of the period not yet shock protected. 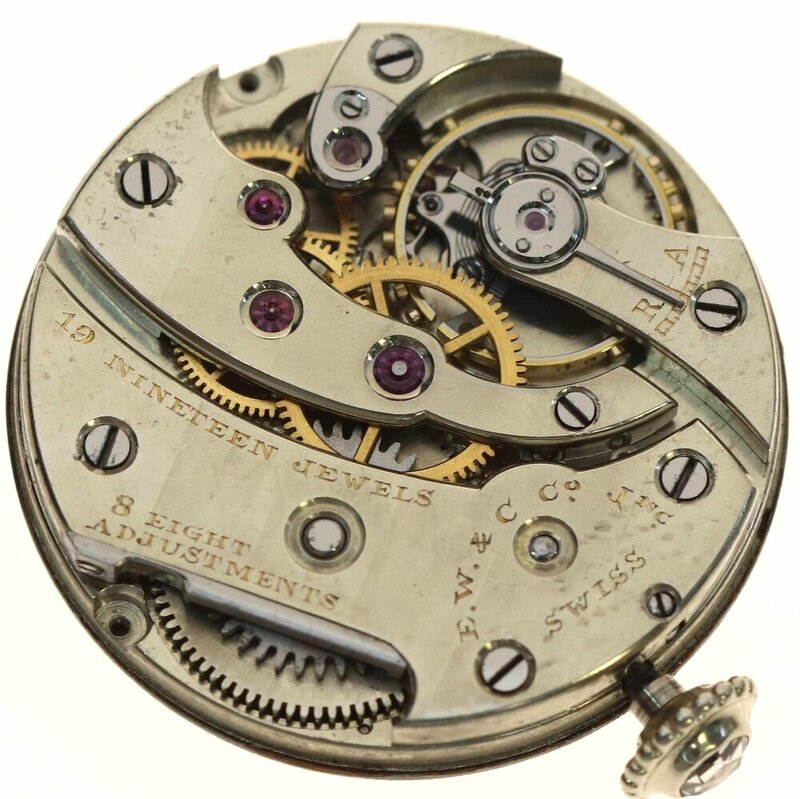 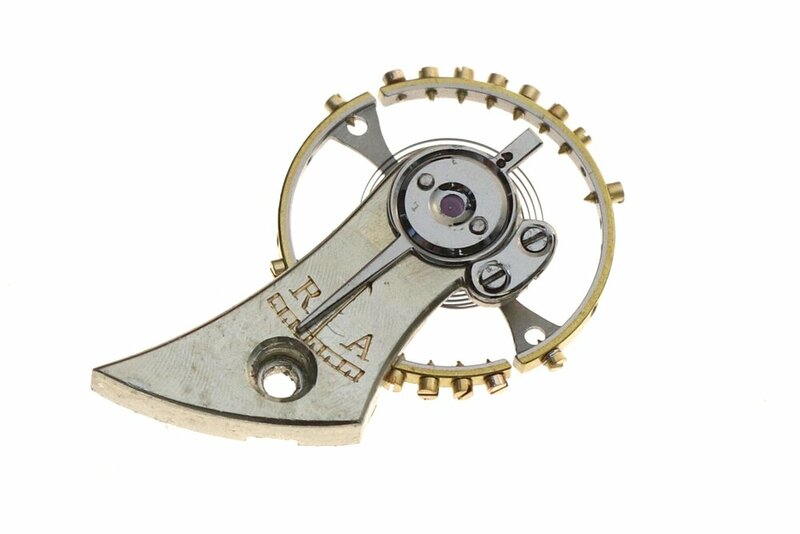 They were in essence miniature pocket watch movements, between movements of the same size and type the components are not interchangeable, each calibre being built individually rather than in a conventional conveyer belt system as today. 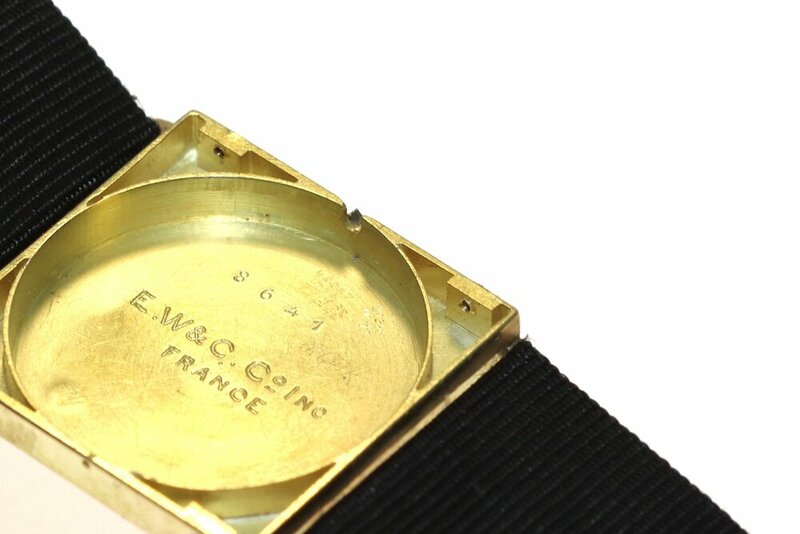 The satin and leather backed strap is sewn onto the case and buckle, and tailored inside to the owners wrist. 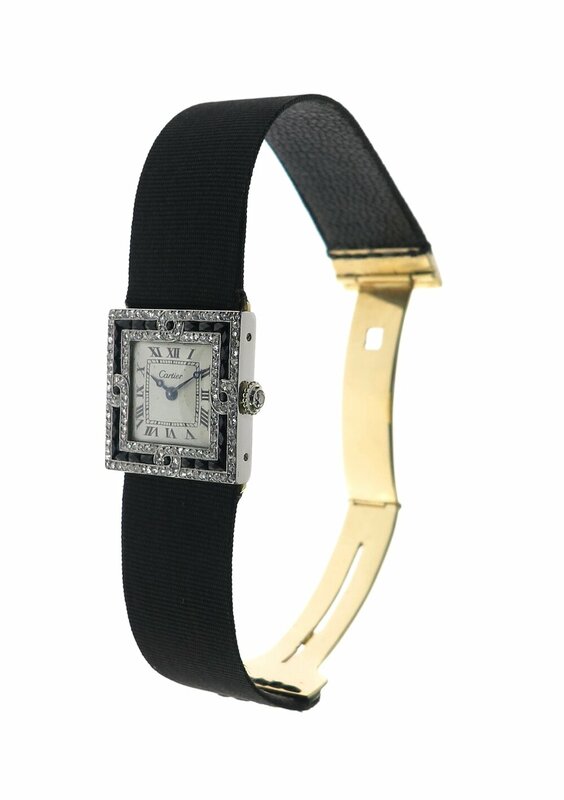 The same elements of design production were used by Cartier in the majority of wrist watches designs during their early years of Cartier watch leading up until the late 1940's. 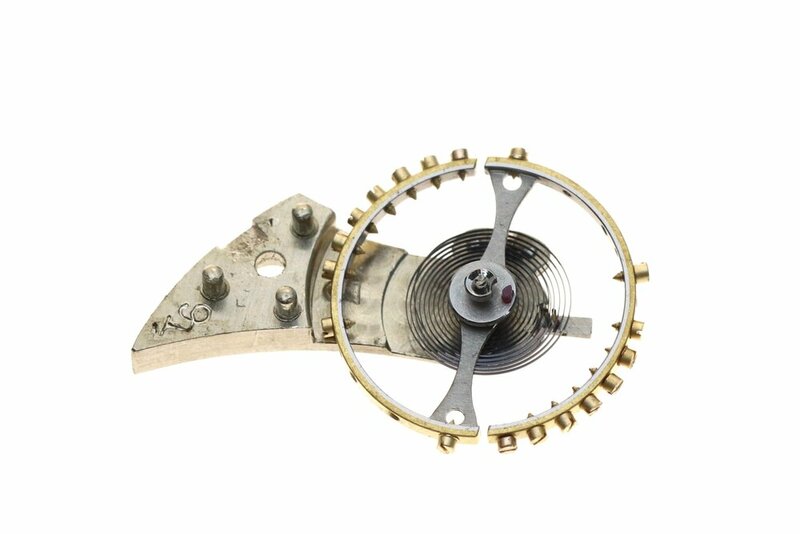 The dial is held on to the mvt by the skirt around its circumference.